I recently sent a short story of mine to my Bubbi (a bubbi is a grandma, but it’s the Hebrew word for it) anyway. She replied saying she knew I was going to be a good writer, because when I was 10 I wrote a poem for a book she was writing about her mother. 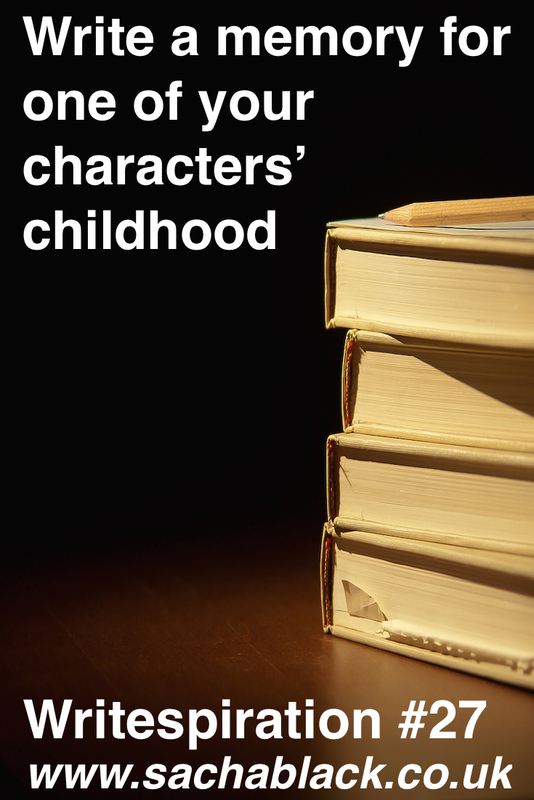 This got me thinking about childhood memories and the importance of having memories and back stories for your characters. Why don’t you write one of their memories? You might even be able to use it in your novel. I thought I would share the poem Bubbi sent me, that I wrote when I was 10 years old! Fire red burning, a firework. Moody grey choking the clouds. Glamorous gold sparkling on a wrist. Grass green being cut by a lawnmower. Bee yellow buzzing around collecting pollen. Rose pink floating in the sky, like petals dropping silently to the ground. Sky blue like dolphins diving into the sea. Sunny orange being gulped downing huge lumps. Kiwi green being cartoned around by Aussies. Metallic silver marching up and down like army soldiers. Soft purple like the flowing blanket beneath a first born baby. Ha! You can’t win us over with cutesy poems like that! Ten? Really? *gags*. I could barely write. Like the idea of casting back, though. It does help bed a character’s personality.